The year is well under way and Tactile Technologies have some big plans for the coming months. According to Mauro Mercuri, Group Director, 2018 was a great year for Tactile, despite the struggling economy and low business and consumer confidence. The company secured some big contracts in the retail and telecommunication sector, one of which saw Tactile selected to supply one of Africa’s largest retailers with over 18 000 POS units, Mercuri explains. It was projects like this that saw the brand increase turnover by more than 20% in 2018. “Our channel is growing at a healthy pace as more and more customers are using our platforms. But there is still work to be done,” he notes. In 2019, the aim is to take the next step forward. Plans discussed at a strategy meeting in Turin Italy, saw directors agreeing to appoint a GM from 1 March. This move is intended to free up time for some of Tactile’s key team members so that they can put more time into new business development. “The GM will also review and enhance our entire operating structure and make us even stronger than we are today,” adds Mercuri. Furthermore, both support- and sales teams are growing, with another 5 people joining the Cape Town and Johannesburg offices in March pushing up staff size to over 40 members. Tactile Technologies will also be opening a new office in Taiwan in March. According to Mercuri, this office will assist us with product management, procurement, new business development and relationship management. Lots of value add, lots of opportunities to contribute to our ultimate goal, which is keep on growing the business at a rapid pace. And the Tactile product range will continue to grow. These moves signal a clear message to the industry – Tactile is doing whatever it takes to grow its market share, he says. 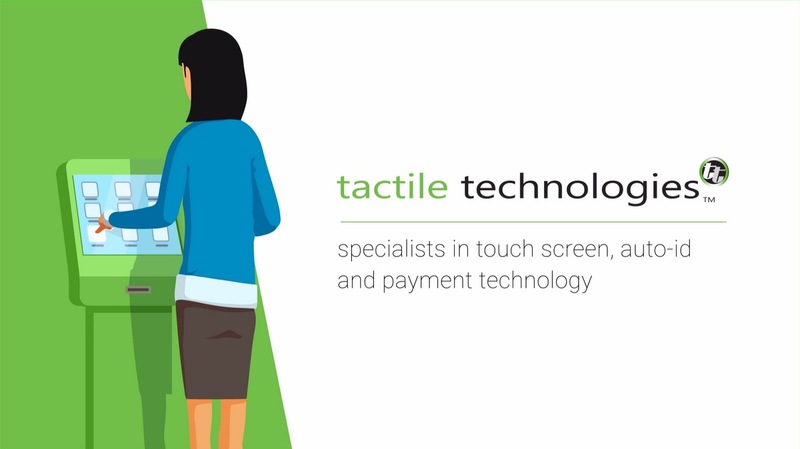 Established in 2001, Tactile Technologies focuses on touch screen-, auto-id- and payment technology. With offices in South Africa (Johannesburg, Cape Town and KZN), Belgium and Taiwan, Tactile distributes a number of industry leading brands such as CITIZEN, Elo, FEC, POSBANK, SNS and others. For more info go www.tactiletechnologies.com. Tactile Technologies was established in 2001. Our core focus was and still is professional touch screen technology. We have expanded our portfolio throughout the years and now offer touch technology, auto-id and payment solutions. We assist our customers needing quality hardware platforms for their professional applications. Approach us for touch screen monitors, tablets, mini-pos units, hand held and fixed scanners, PDAs as well as scanning engines.